You probably remember a video that recently went viral of a dog meeting her favorite toy in real life, a Gumby doll. Jolene loved her Gumby stuffed animal so much, that her human decided to dress up as one and surprise her. Jolene’s reaction was priceless; she seemed a little confused at first, but then she got so happy and couldn’t even contain her excitement. 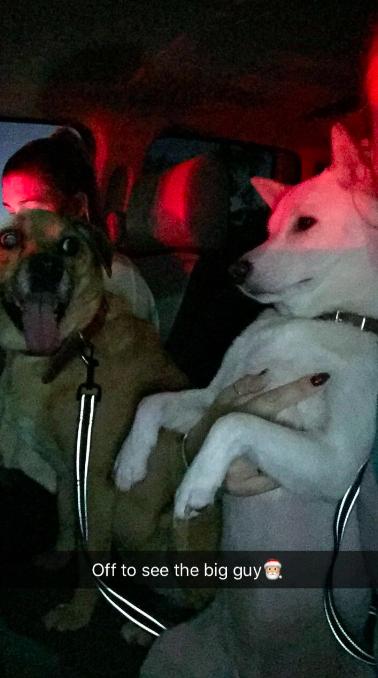 This pup got a similar surprise. 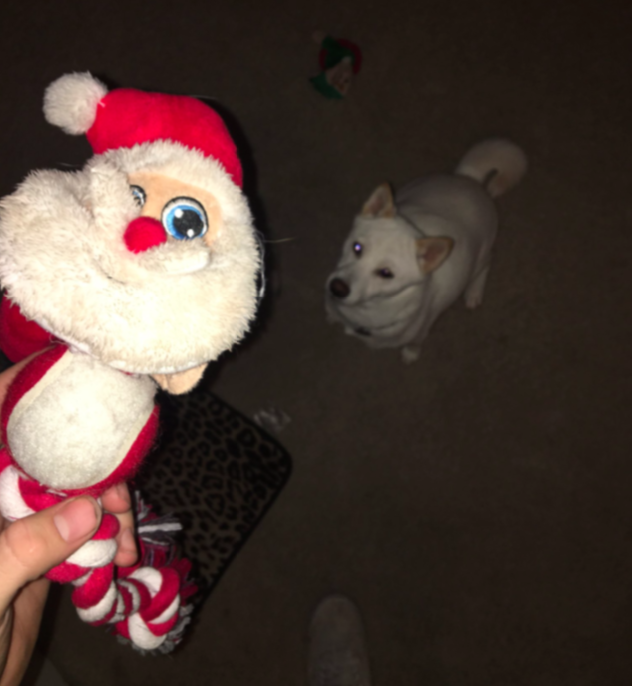 Kya, a one-year-old Shiba Inu living in Orlando, Florida, is in love with a plush Santa Claus doll. She adores her Santa doll and brings it everywhere with her. So, in the midst of the holiday season, her humans decided it would be a good idea to make her doll come to life for her. They brought her to see Santa Claus in real life, and her reaction was priceless. You can see from the picture that Kya was more than happy. She was ecstatic! 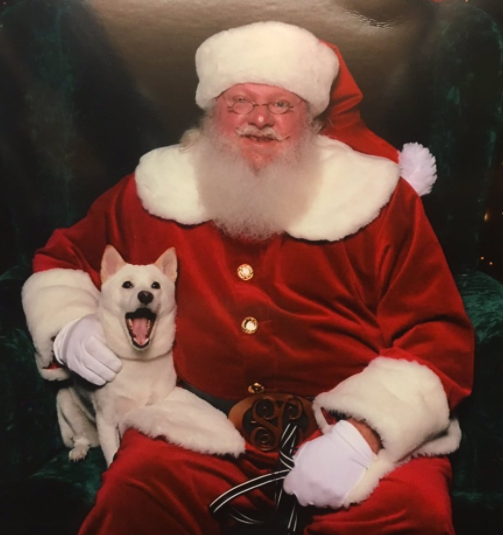 She sat on Santa’s lap to get their picture taken, while she was sporting the biggest grin on her face. She looks shocked, surprised and excited all at once. Taking Kya to meet Santa was a great Christmas gift, but Kya gets spoiled all year round. 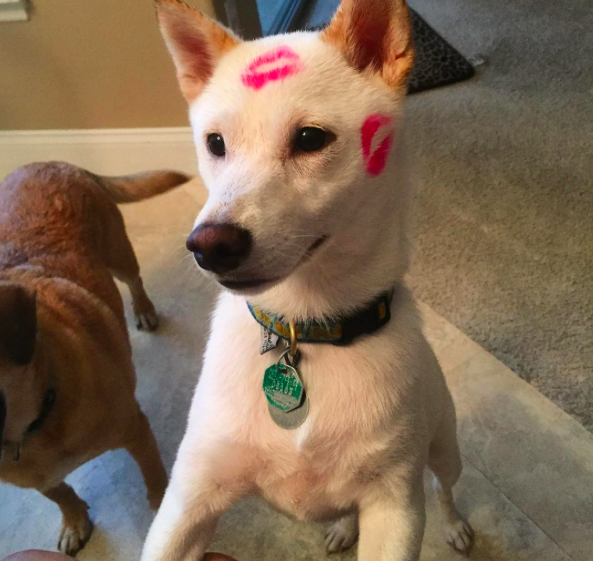 You can follow Kya on her Instagram account.